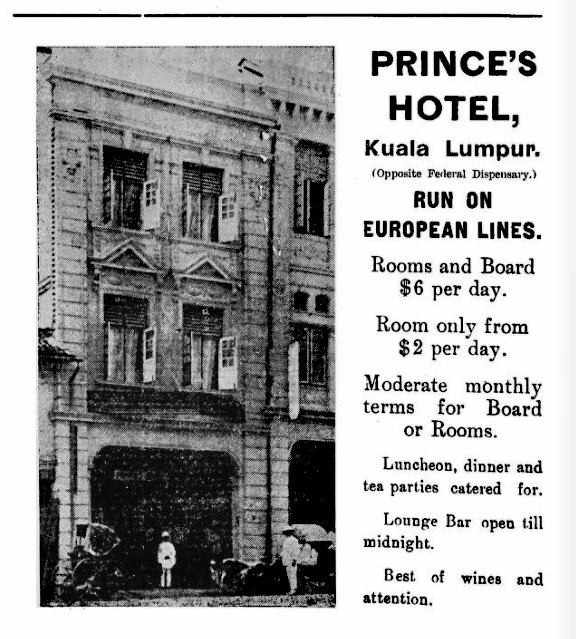 I spotted an old black and white advertisement for an establishment called Prince’s Hotel in a publication called Bygone Selangor by Rimba which was published in 1922. The advert shows a photo of the hotel, a three storey shop-house with a doorman outside wearing what looks like white shorts, long socks and a pith helmet. A rickshaw is parked in front of the hotel. I thought it would be interesting to see if the building still stands, nearly 100 years after the photo was taken. There is no address of the hotel given in the advert but it does provide a clue: “Opposite Federal Dispensary”. 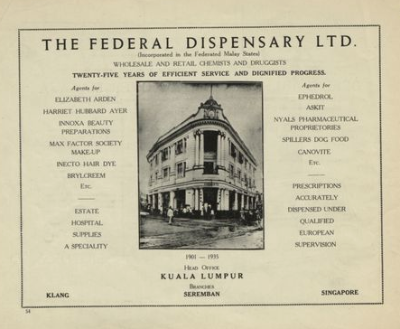 Federal Dispensary was the leading chemists in Malaya and its Kuala Lumpur head office was located on High Street, now called Jalan Tun H. S. Lee. The Federal Dispensary building shown on this 1930s flyer was demolished and the site is now occupied by Maybank. The first Maybank branch. Since 1960. 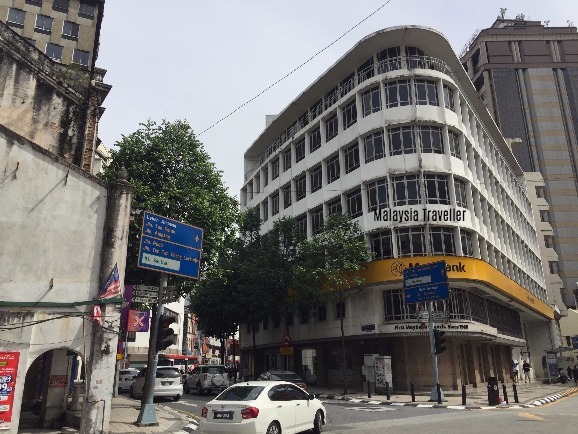 If my information is correct, the Prince’s Hotel building should be directly opposite this Maybank branch. Sure enough, an old building still stands, rather tatty and faded, which I am fairly confident was once the Prince’s Hotel. 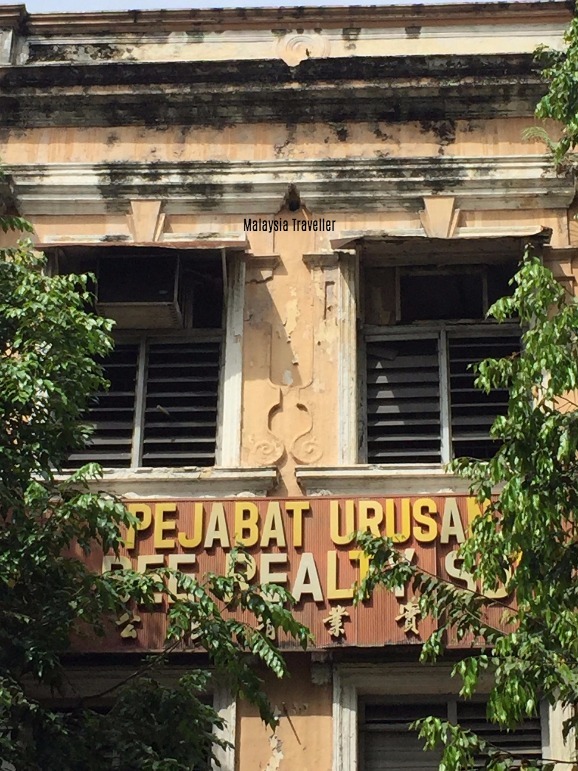 The triangular pediments above the second floor windows are concealed behind the Hong Bee Realty Sdn Bhd sign but other decorative features of the facade can still be recognised from the old photo. Also the building next door matches the photo, although it is in poor shape and surrounded by hoarding, hopefully for restoration work rather than demolition. 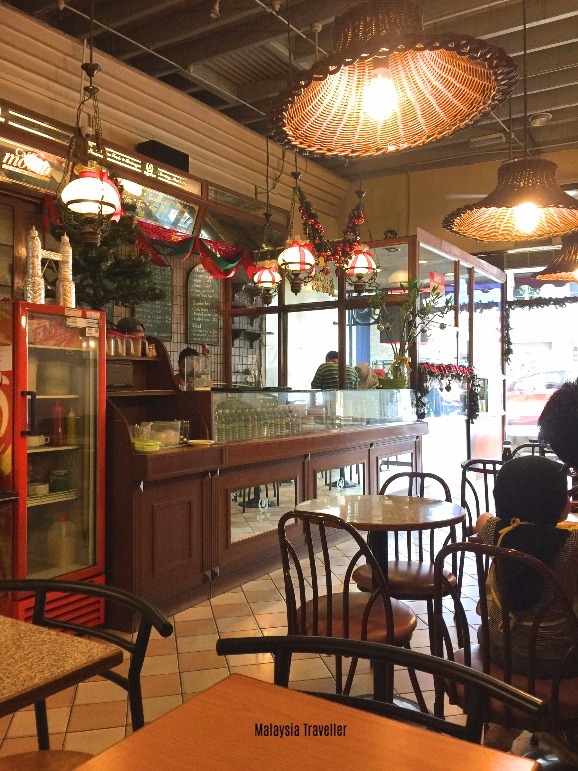 There is no hotel in the building anymore, just a modest restaurant called Mcggoo Deli. I went in for a coffee. It is quite cosy inside but there is little evidence to show that it was once a hotel. The staff working there did not know the history of the building. It was nice to be able to track down a piece of heritage but I doubt that the building will survive another 100 years.